For similar maps, the older map is generally the more valuable. Using age as the sole basis for valuation is very dangerous, however. 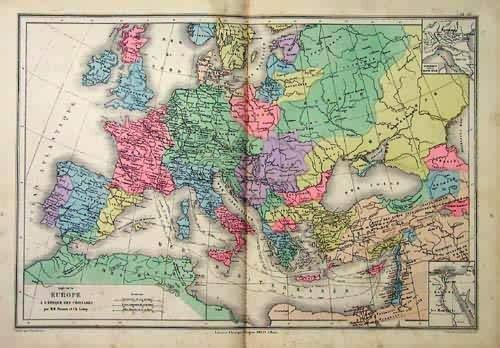 Maps from the 1500s can be had for under $200.00 while maps from the 1800s can be worth several thousand dollars and vice-versa. Some maps were issued in small numbers and are relatively rare. If other conditions that enhance value are present the map is further enhanced by rarity, but rarity alone does not create value. Most collectors prefer large maps. Such maps are usually more de-tailed and more decorative. Some collectors do prefer smaller maps since they are less expensive and easier to store. For similar maps, the cartographer can strongly influence the price. To take one example, Ortelius and de Jode both produced similar maps at about the same time. However, Ortelius produced far more editions of his atlas than de Jode, and de Jode maps are roughly triple the price of Ortelius maps. Many people buy maps intending to frame them and display them in their homes or offices. Such people are more attracted to a map with scrollwork, fancy borders, sea monsters, fine coloring, etc., than to a plainer map of the same region and age. Some collectors also specialize in decorative maps. Naturally this increases the price of such maps. 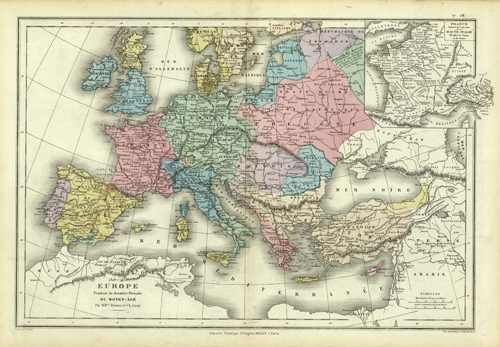 Collectors in certain countries have developed a fondness for collecting maps of their own regions, which drives up prices for maps of those regions. The Germans, Dutch, English, Australians, Canadians, and Americans are some of the nationalities fond of maps of their countries. World maps are appreciated by collectors everywhere, and often the world map is the most expensive map in a given atlas. Maps of the continents, particularly America, are also in demand, as are maps of the Holy Land and Japan. Some idea of regional influence can be gained by inspecting listings for some of the more prolific cartographers such as Ortelius, Blaeu, Homann, Bowen, or Tallis. Areas that are more remote or with smaller less affluent populations have less demand and are often very decorative and well priced. 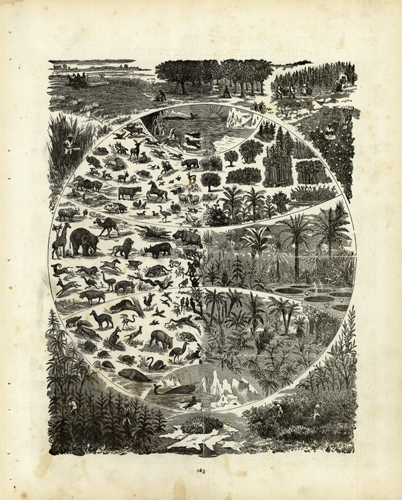 Some maps, particularly those of explorers, are the earliest to depict an area or feature. Other maps might depict an important battle or similar event. Other examples may be imagined geography such as California as an island. Generally the closer such maps date to the event the more importance and thus value they have. All the maps and prints we sell are original antiques, so their age must be kept in mind when considering condition. The condition of all items is noted. Often maps (and large prints) have centerfolds; they may also often have some edge discoloration or general discoloration through age. Our catalogue entries will not note minor faults, however any faults that we consider do materially affect the item will be noted, such as repaired tears, foxing or irregular staining, soiling, etc. Art Source International has adopted the following condition codes adopted from The Antique Map Price Record & Handbook 1998. In addition to a short descriptive statement. Their criteria are described below. 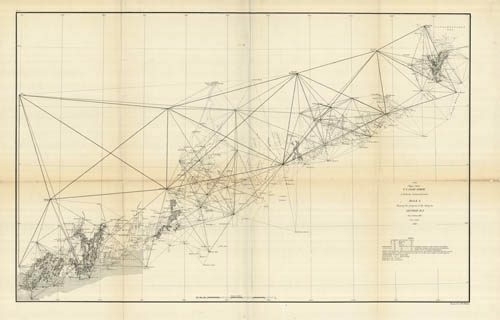 We have included these conditions in our online database of maps and prints. Clean and bright, with crisp engraved lines. On sound paper with wide margins. Fine quality coloring. Clean and bright, with crisp engraved lines. On sound paper with no imperfections in the image. Small tears or minor discoloration in the margin only. Very good quality coloring. No significant imperfections. Minor spotting, foxing, short separations on centerfold with no image loss, or overall age toning may be present. May have narrow margins but paper is still sound. Good coloring. Noticeable imperfections. Scattered foxing or spotting. Long separations on centerfold or tears entering image, which can be easily repaired. Color may be slightly faded. Needs significant repair and cleaning. Paper may be highly acid and brittle. Color may be faded. Maps are subject to several different types of staining. Foreign matter such as ink can be spilled on a map. Water spills can leave visible traces. Browning can occur along the centerfold or at old repairs where the paste has caused chemical deterioration of the paper. The whole map sometimes browns. Mildew can result in spotting or “foxing” on the map. Offset staining also occurs (see Terms). The effect of staining on price depends on its visual impact and the type of map. The value of a decorative map is more affected by staining than is that of a rare map of scholarly interest. Stains located in the blank margins are much less serious than stains in the printed area. Many maps become torn over the course of time. Sometimes this is the result of use, as in the case of maps that fold into a book. In such cases, tears or separations along the folds are relatively common. In general, tears are regarded as less serious if they are confined to the blank margin. A skilled restorer can repair tears. Such repairs are often almost invisible on the map side of the sheet. Tears should be repaired if the map is to be handled, since they tend to lengthen. Tears detract from the value of a map, but the effect on value is somewhat subjective. The collector should discuss such defects with the dealer. Sometimes maps are found to be pasted or glued to something such as cardboard, pressboard, or brown paper. This can detract substantially from the value. In other cases, the map may have been backed by a conservator to protect it. 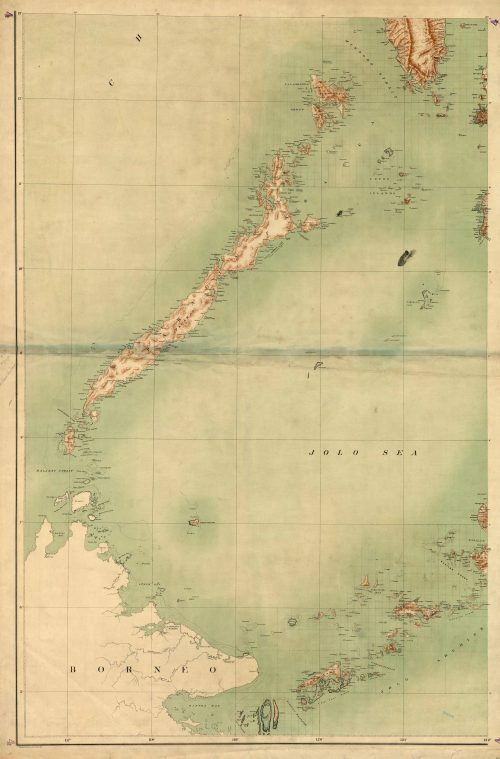 Such conservation backing is usually done carefully with good materials, such as rice paper and acid-free paste, and helps protect the map from damage. This should be done only if necessary, since some collectors find it objectionable on an otherwise good map. Backing may obscure interesting text or figures on the back of the map. 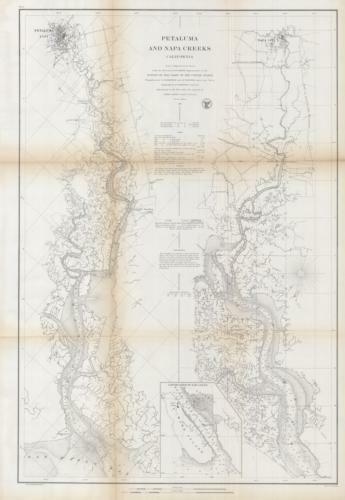 Some maps were published with backing. In that case, it obviously does not detract from the value. Most people interested in decorative maps prefer them colored. This tends to give nicely colored maps a slight price premium. The magnitude of this premium is limited by the practice of coloring maps. The price differential settles at about the cost of coloring plus the perceived cost of the bother involved. The most desirable coloring is original color. Next would be recent color done in an authentic style. Least desirable is bad coloring, whether recent or original. 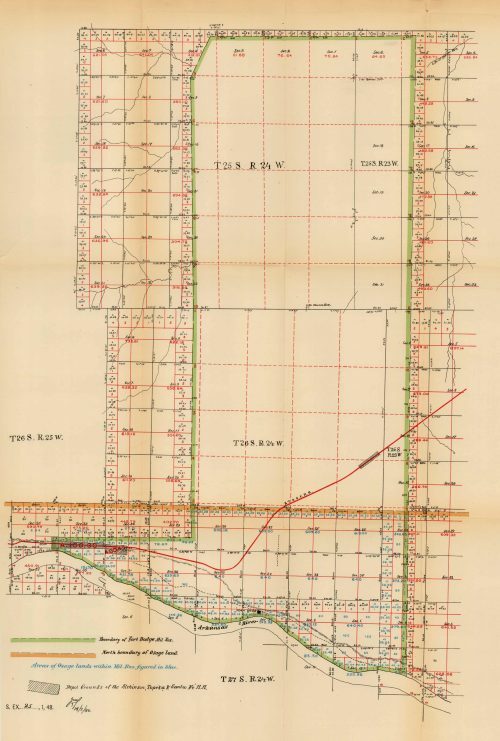 Some maps were never issued colored, and knowledgeable collectors avoid colored examples. Some sophisticated collectors believe that coloring obscures the beauty of any engraved map. In the final analysis, it is a matter of taste. The blank margins on maps may have been trimmed at some time in the past. This reduces the value. Some maps, however, were issued with narrow margins. Because of this, there can be no general advice for the beginner, except to view narrow margins with a jaundiced eye. If part of the border or some of the map itself is missing, the value can be reduced substantially. This is perhaps the least serious fault. If a map has been folded, usually the resulting creases are almost invisible when unfolded properly. If a map was issued with fold lines, as in the case of maps folding into a book, its creases have no effect whatever on value. 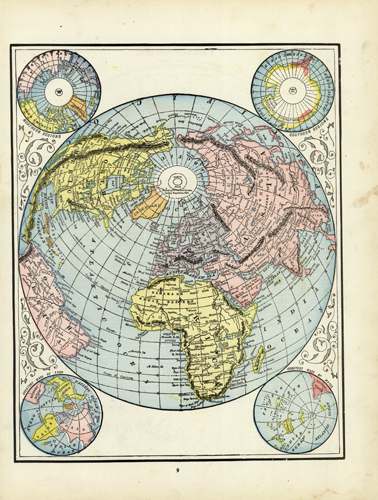 Many maps from atlases have vertical fold lines down the center. This is normal and does not affect the value. Originally copyrighted by David C. Jolly. Subsequently published with permission in Antique Map Price Record & Handbook by Jon K. Rosenthal. Additional material added by Art Source International.